So, you have decided that a saltwater aquarium is the right fit for you. Nowadays there is a myriad of colorful and interesting creatures available to the hobbyist, but which fish are the best suited for beginners? Damselfish are hardy fish, often with a feisty attitude. They often come in bright, vivid colors, and remain a manageable size for the smaller aquarium. The family of damselfish is very large, however, and not all species possess these desirable characteristics. Among the popular damselfish that make good beginner pets are the Azure Damselfish (Chrysiptera hemicyanea), and the Goldbelly Damsel (Pomacentrus auriventris). These beautiful fish are among the most popular among hobbyists. There are many different species of clownfish, but they are all characterized by forming symbiotic relationships with anemones. They are very hardy fish, and are not picky eaters. Some of the species that are recommended for beginners are the Ocellaris Clownfish (Amphiprion ocellaris), and the Tomato Clownfish (Amphiprion frenatus). 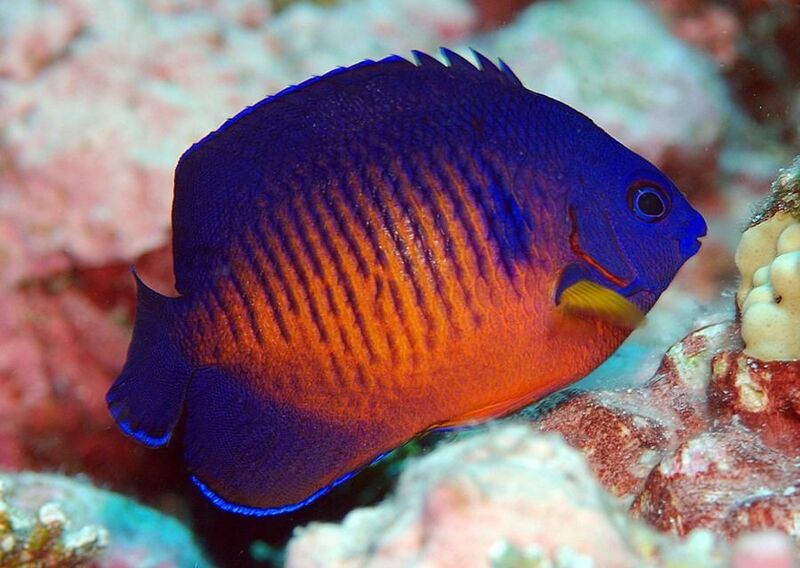 Coral Beauties (Centropyge bispinosa) are dwarf angelfish with beautiful blue and orange coloration. Their small size and hardiness make them ideal for beginner hobbyists. They are also popular among the more experienced, and are readily available. Coral beauties are generally peaceful and not fussy eaters. The Blue Green Chromis (Chromis viridis) has a gentle disposition, beautiful coloration, and is easy to care for. Its scales reflect blue and green hues, going from blue on top to green on the belly. It gets along well with other tank mates, and is very adaptable. It can live more than 10 years in captivity. The blennies are a family of fish characterized by their blunt heads and small, elongated bodies. They are bottom-dwelling fish that enjoy a tank with many places to hide. There is a wide variety of colorations and patterns. 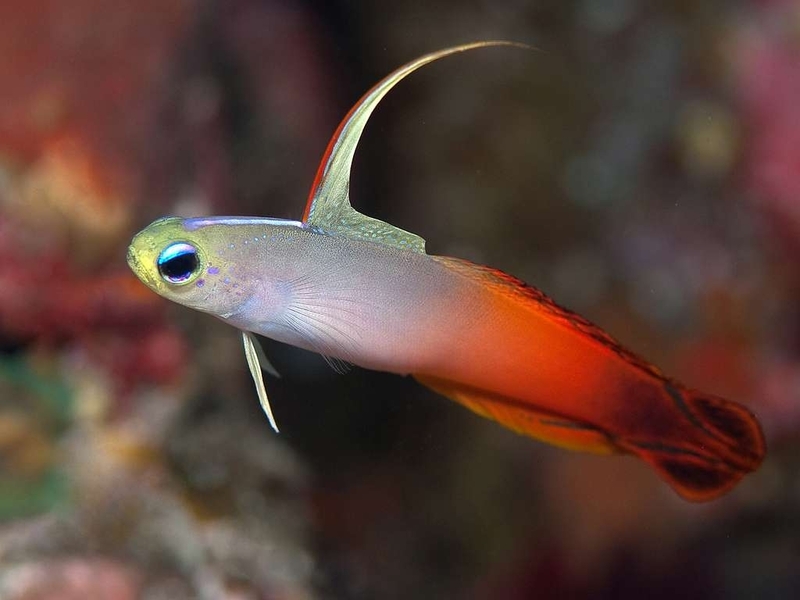 Some of the species recommended for beginners are the golden Midas Blenny (Ecsenius midas), and the Tail Spot Blenny (Ecsenius stigmatura). 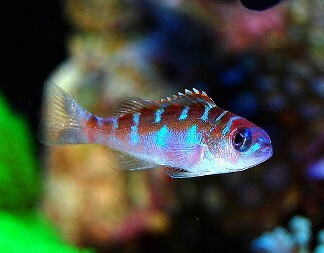 The Chalk Bass (Serranus tortugarum) is an ideal fish for the beginner aquarist. They are small and very hardy. They get along well with other tank mates, and have an appealing blue, orange and purple coloration. 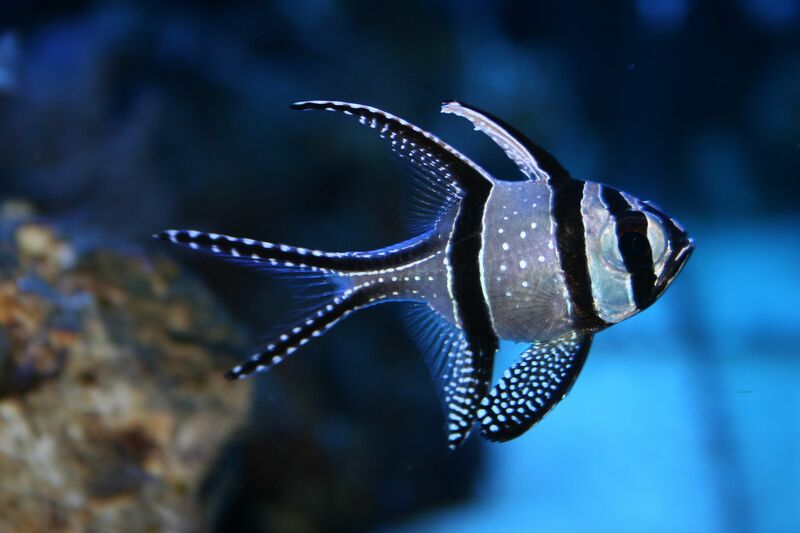 Kaudern’s Cardinal fish (Pterapogon kauderni) has a silver body crossed with black stripes and white spots, and long fins. They are small fish that are easy to care for and easy to breed, and are very popular among hobbyists. 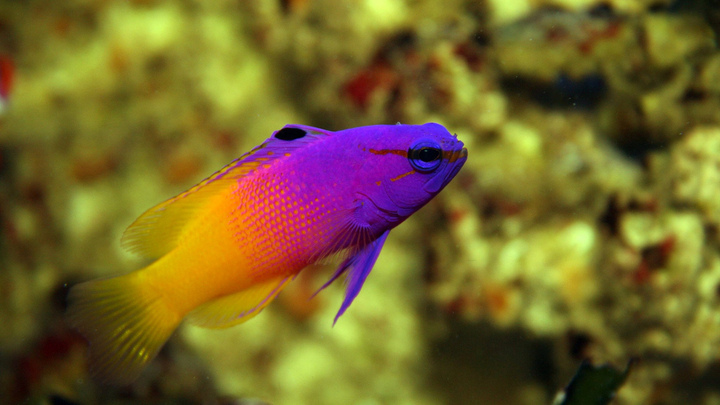 The Royal Gramma (Gramma loreto) is a brightly colored fish with a small adult size, which makes it ideal for smaller aquariums. Its coloration is bright violet on the head, and yellow on the tail. 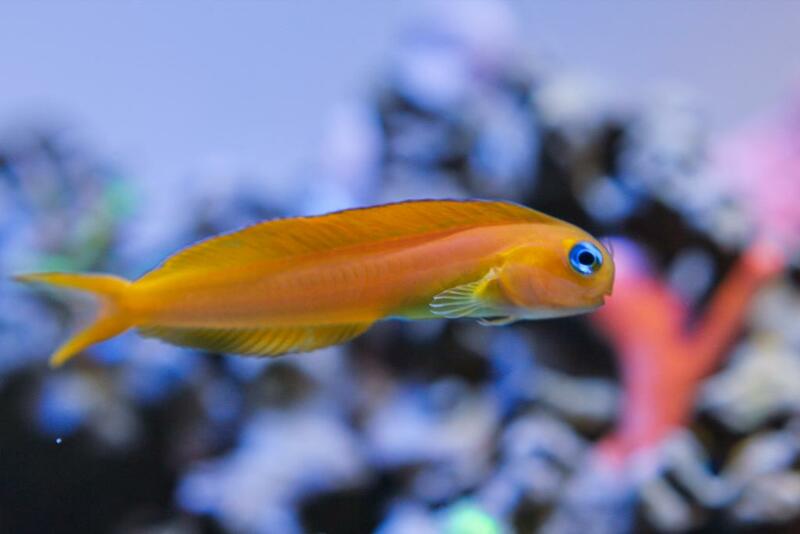 The Bicolor Dottyback (Pictichromis paccagnellae) is a very brightly colored two-toned fish. Its tail is yellow, and its head is a vibrant violet. They are hardy and easy to care for. Firefish are small fish with striking coloration. They are active swimmers and get along well with other tank mates. They are very hardy and are not picky eaters, making them ideal fish for beginner hobbyists. Species include the Exquisite Firefish (Nemateleotris exquisita), with red and purple fins and a yellow body, and the Magnificent Firefish (Nemateleotris magnifica), with an orange-red caudal fin, a white body and yellow head with violet accents.